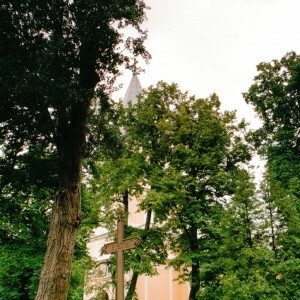 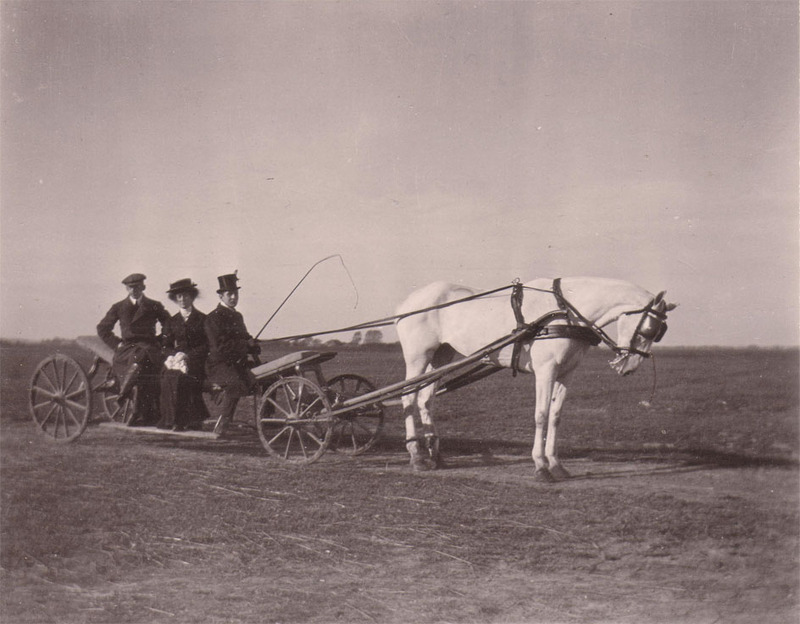 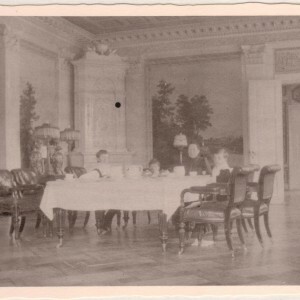 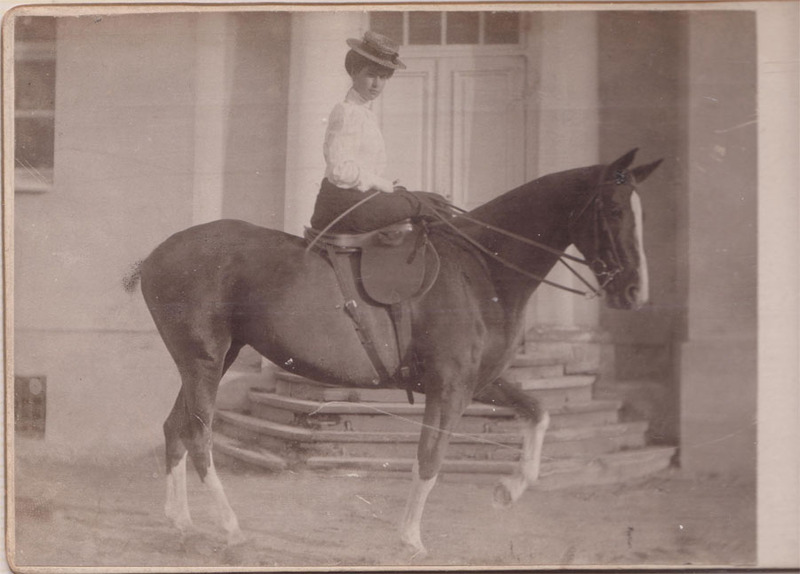 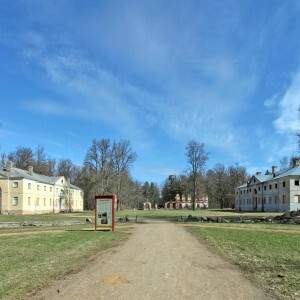 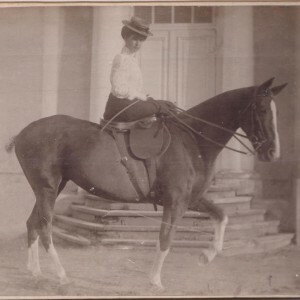 I’ve collected these images of Elley, Latvia (Lv. 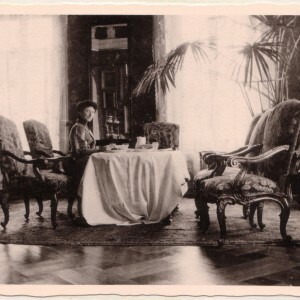 Eleja) from a variety of sources. 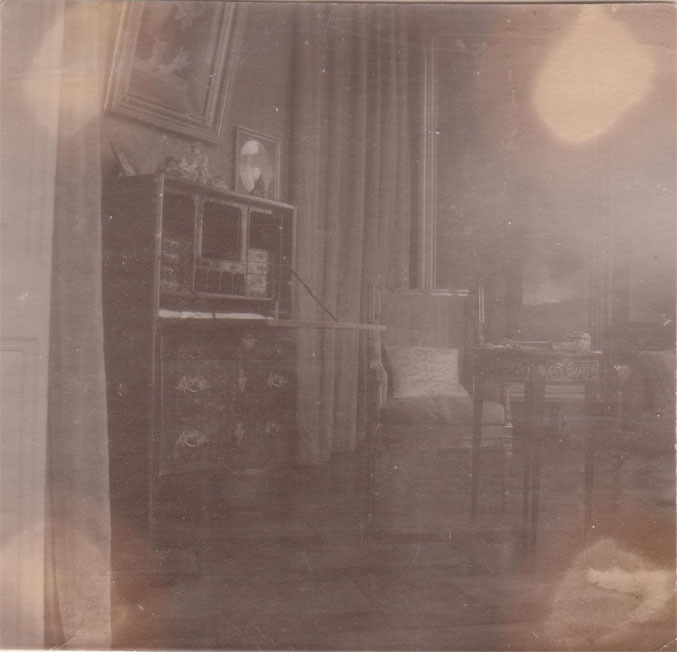 My Grandmother and her sister have shared the majority of them, which I’ve scanned from the physical prints. 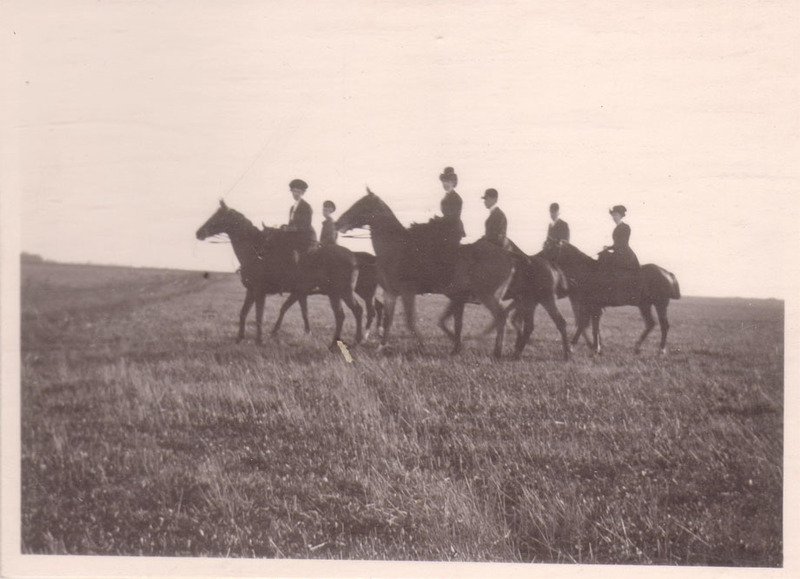 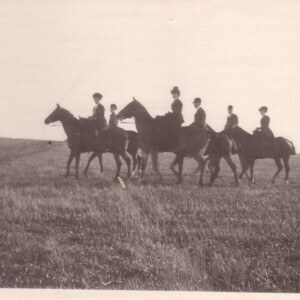 The others are found online, or shared with me from friends & family interested in the history. 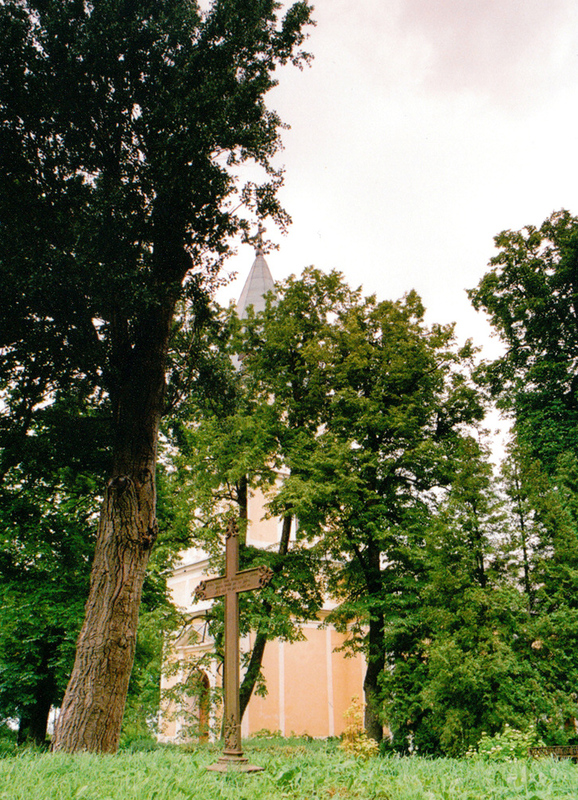 Elley is known as Eleja in Latvia, and is part of the Eleja Parish, Jelgava district. Jelgava is the Latvian name for German Mitau. 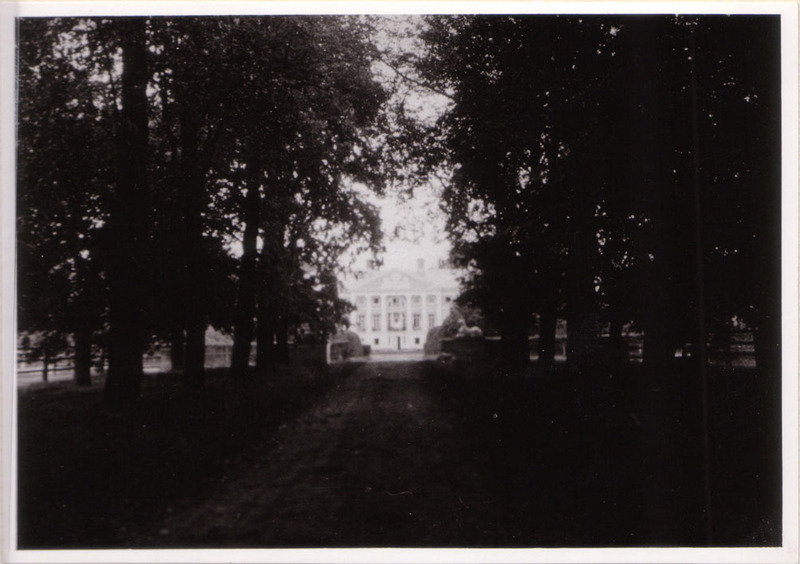 I’ve shown it on the map here. 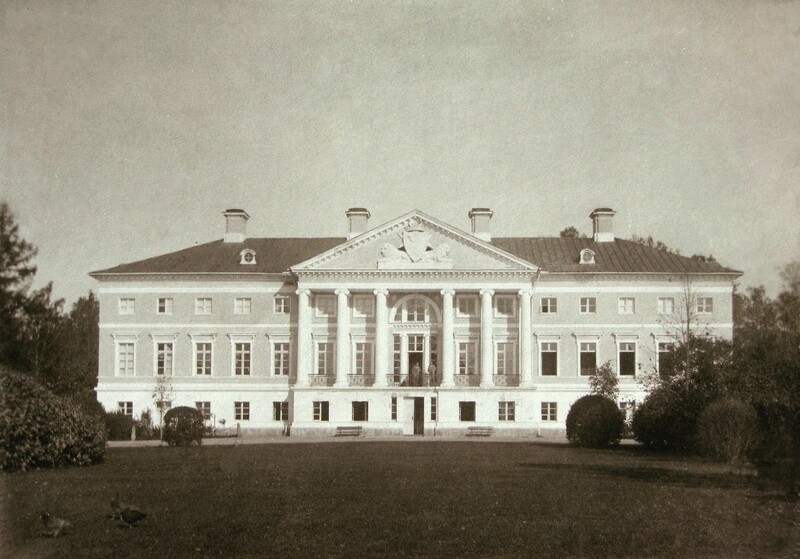 Around 1806 to 1810 the manor was supposedly built by the same architect that built Rundāle Pils, Francesco Bartolomeo Rastrelli in a Baroque style. 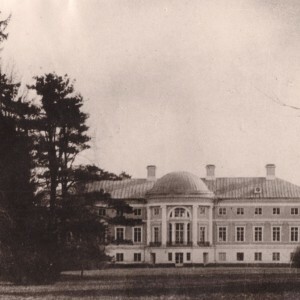 However, some controversy over this fact has arisen since Rastrelli died in 1771, so the completion of the building may have been done by one of his students. 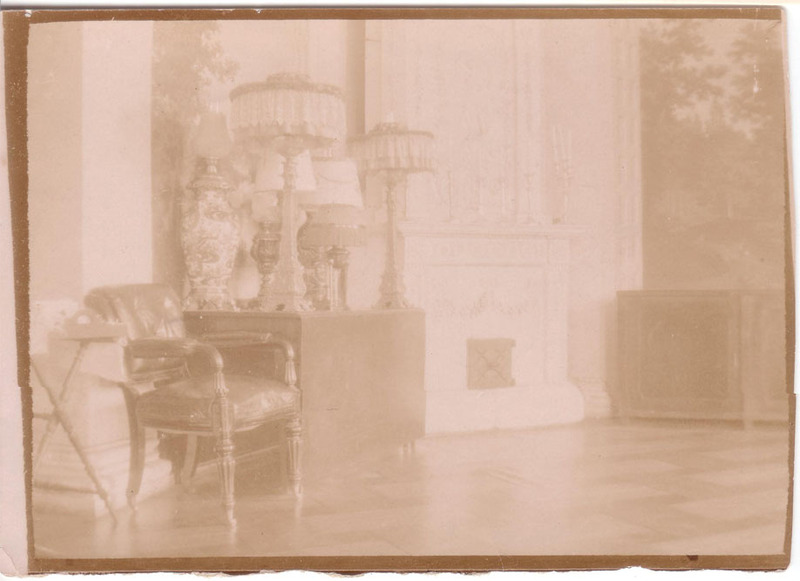 Regardless of who built it, Dr. Imants Lancmanis has informed me that Elley is considered to have been more richly decorated and furnished inside than most museums of the world today, as you can easily see from the images. 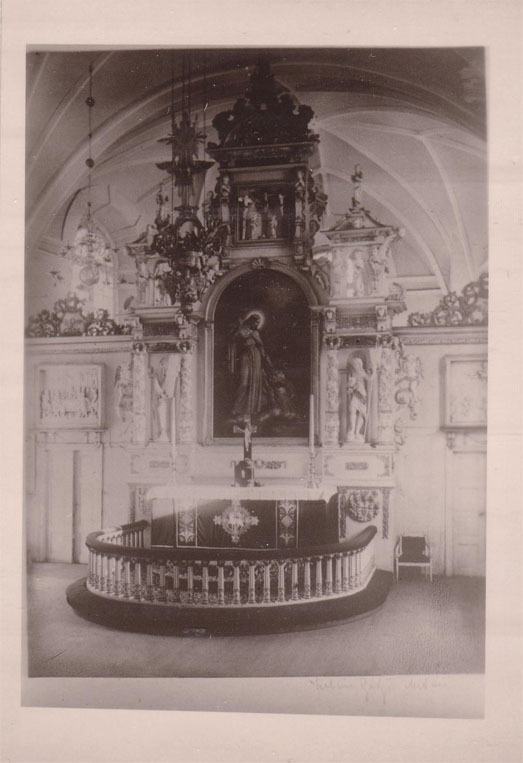 When I visited Dr. Lancmanis at Pils Rundâle I physically held a hand written inventory accounted by the owners of Elley, easily 200 pages thick. 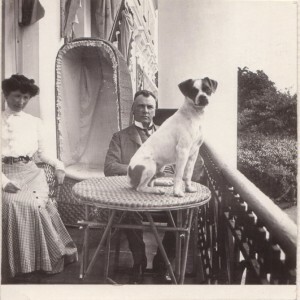 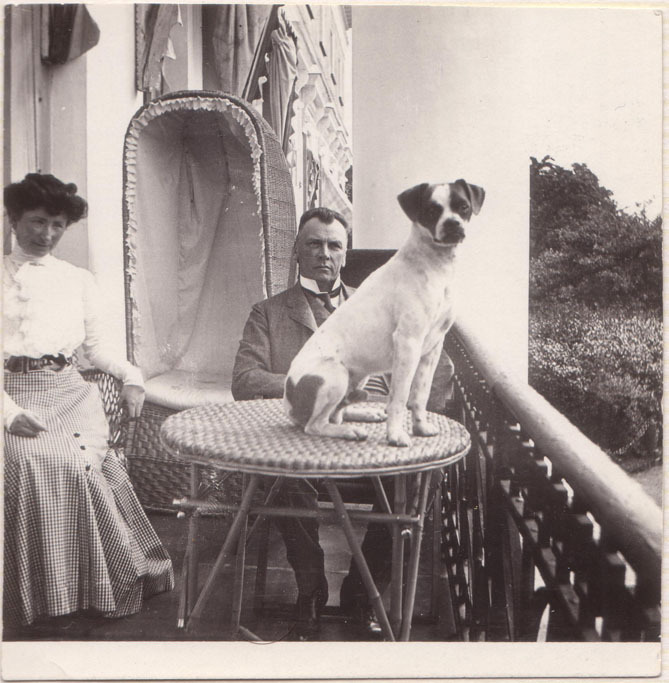 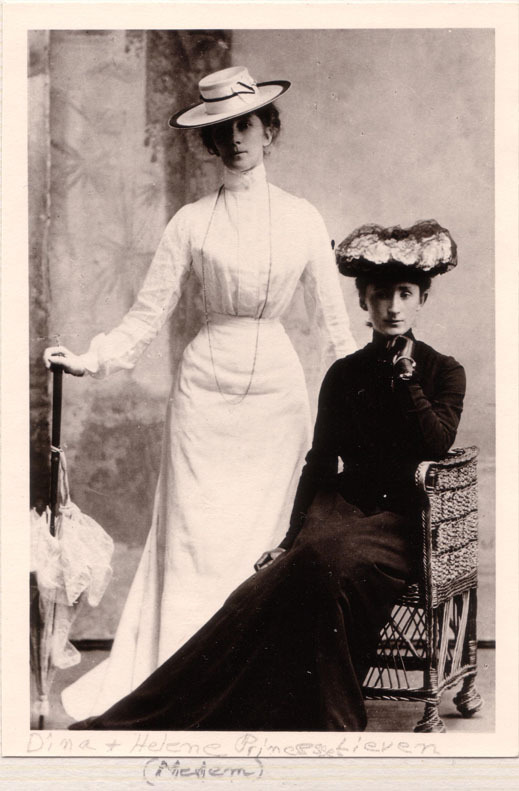 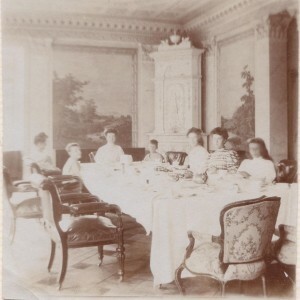 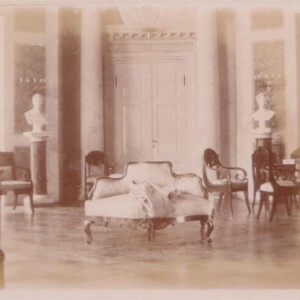 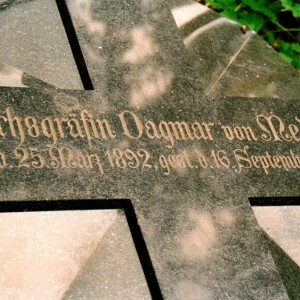 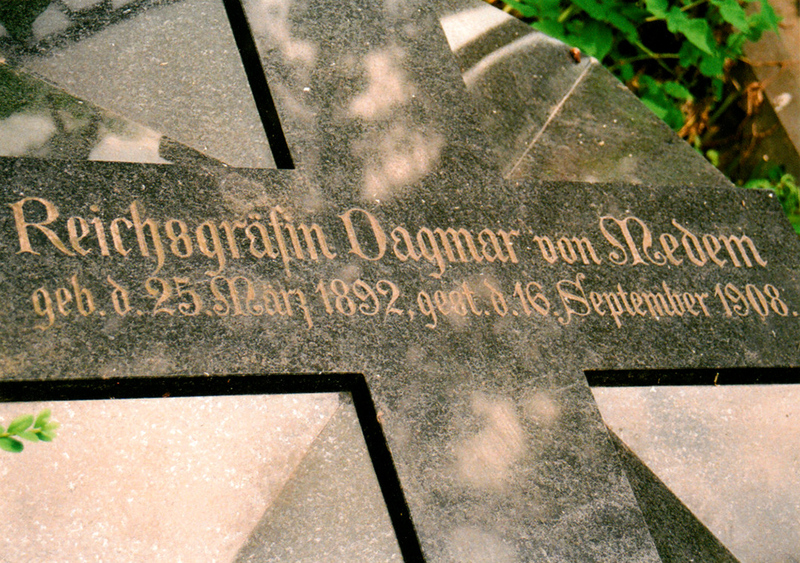 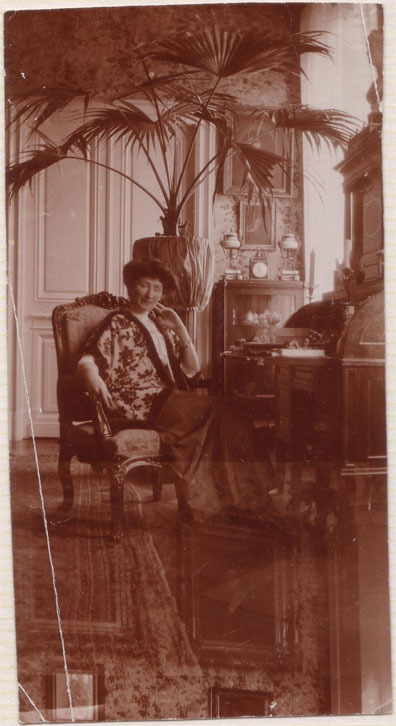 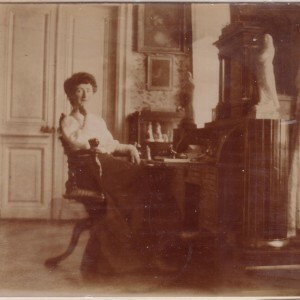 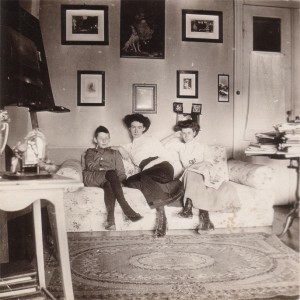 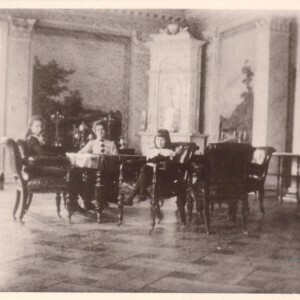 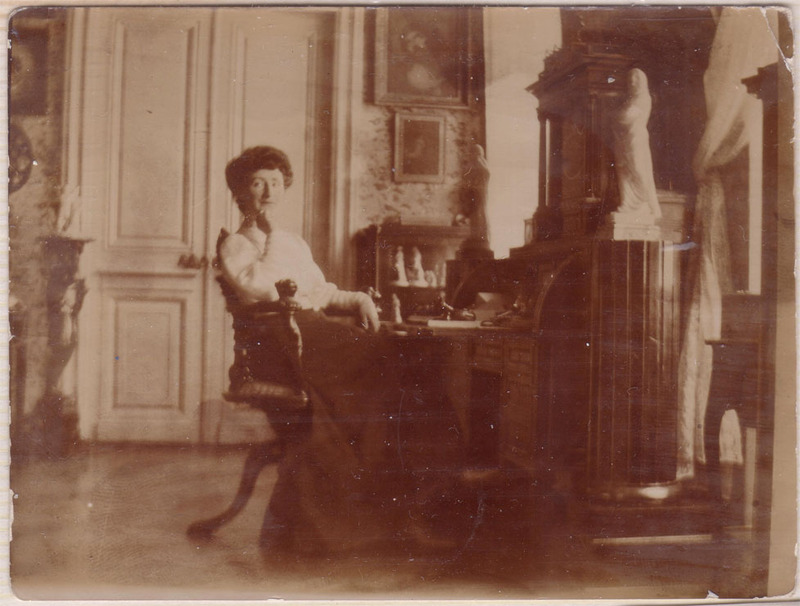 Elley was last inhabited by Paul Heinrich Peter Theodor Graf von Medem and his wife, Helene Mathilde Fürstin von Lieven. 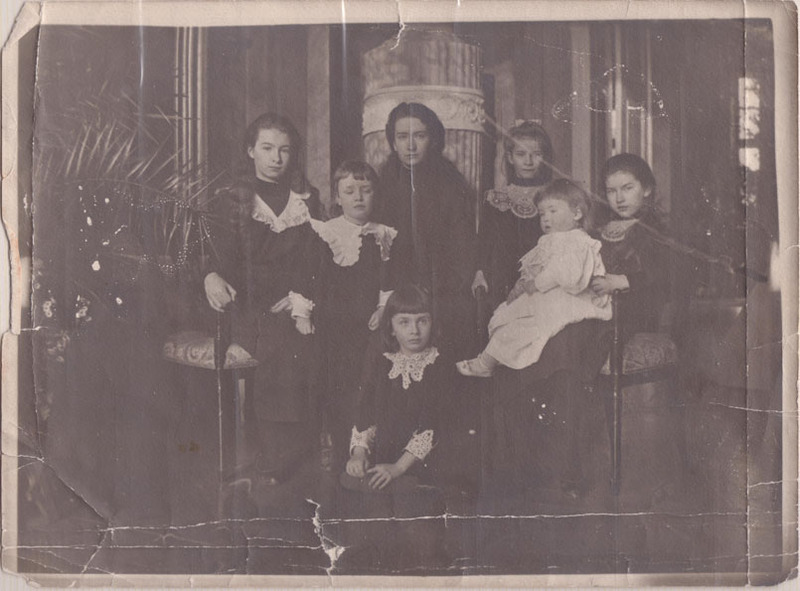 Their children were born there, but as they became teenagers the outbreak of the World War I was eminent, and it was necessary to leave the region [to remain alive]. 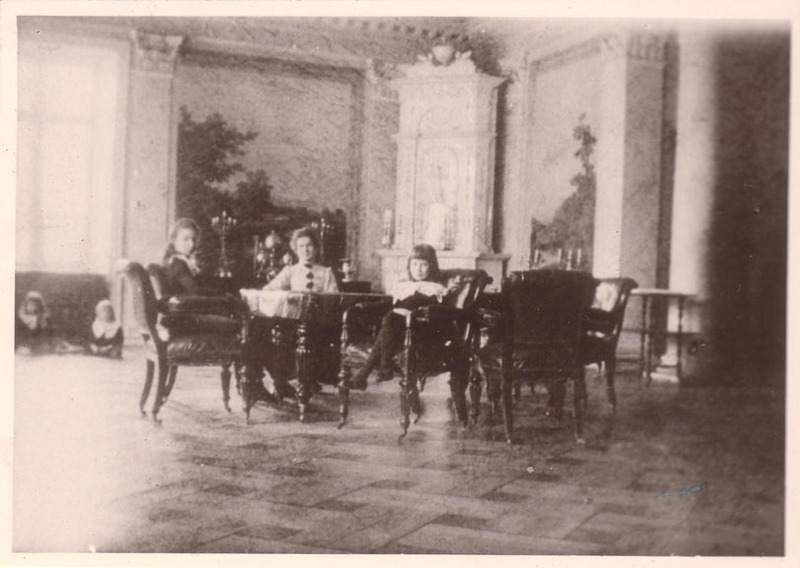 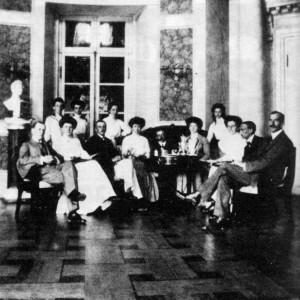 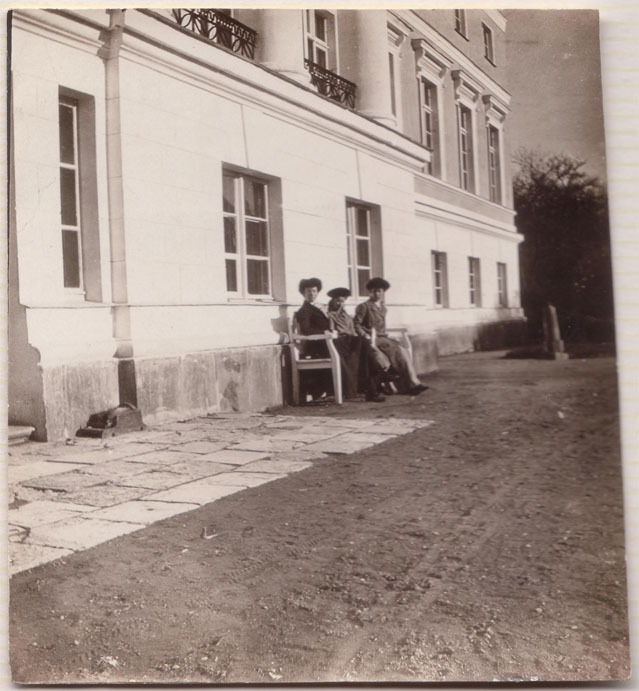 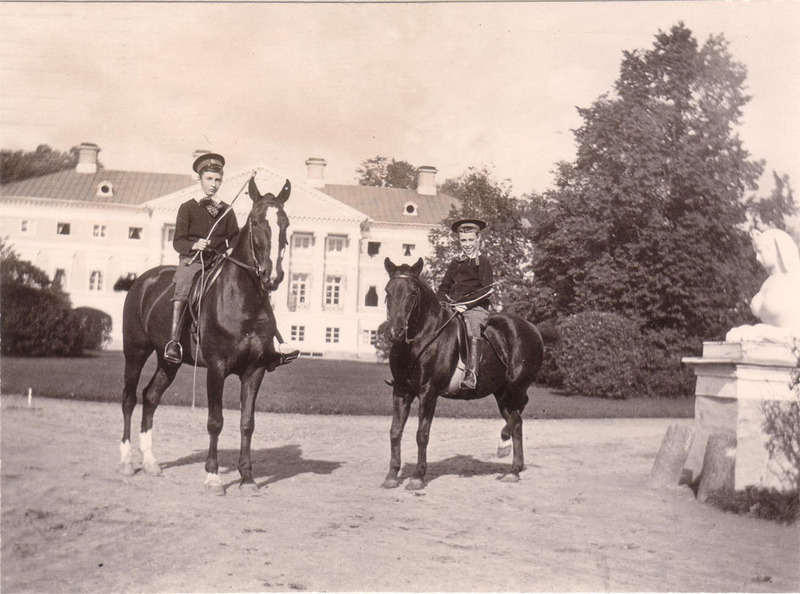 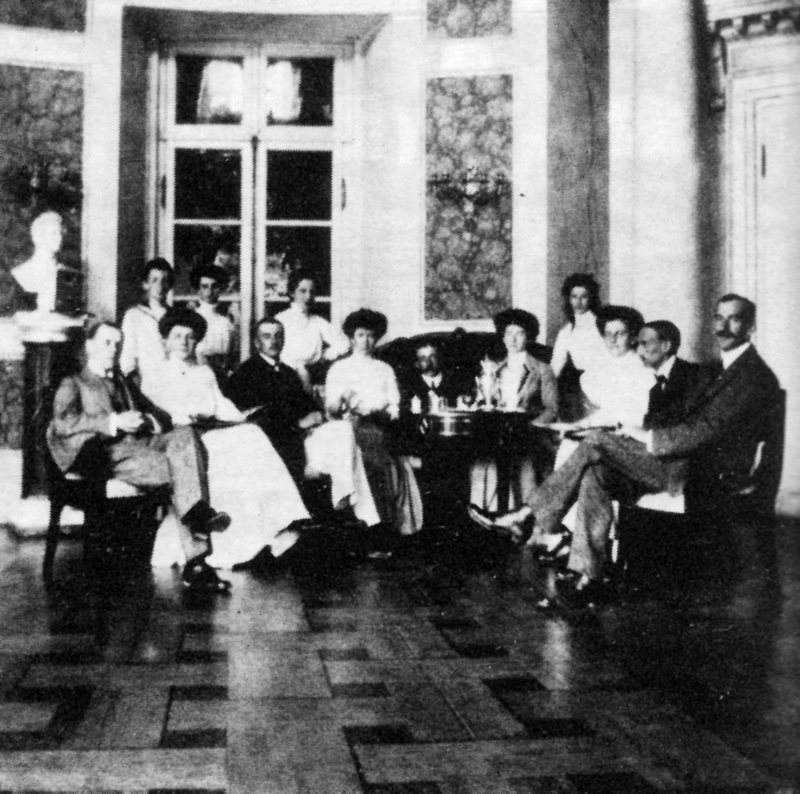 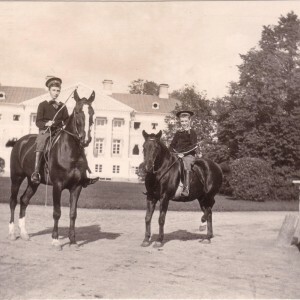 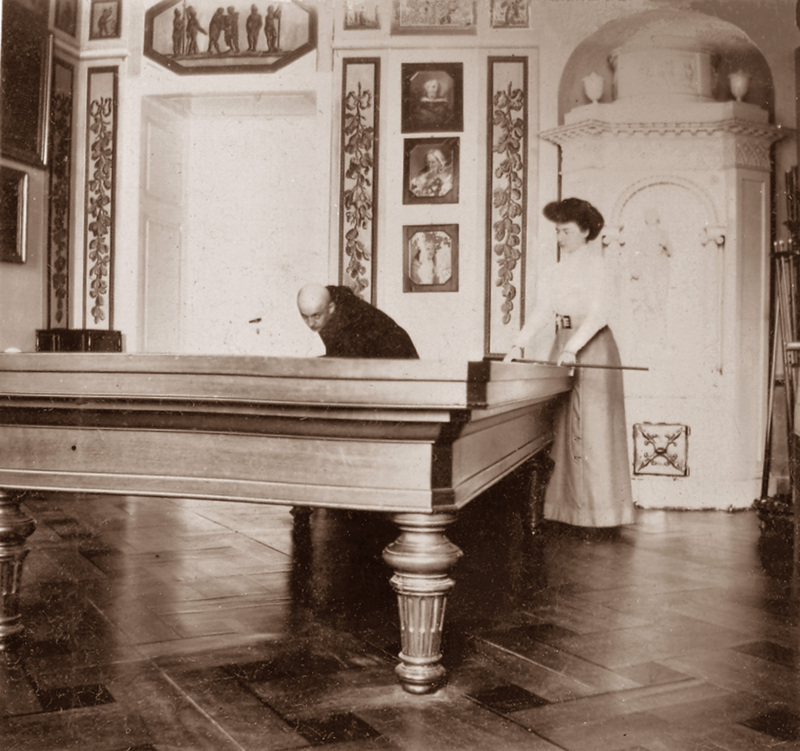 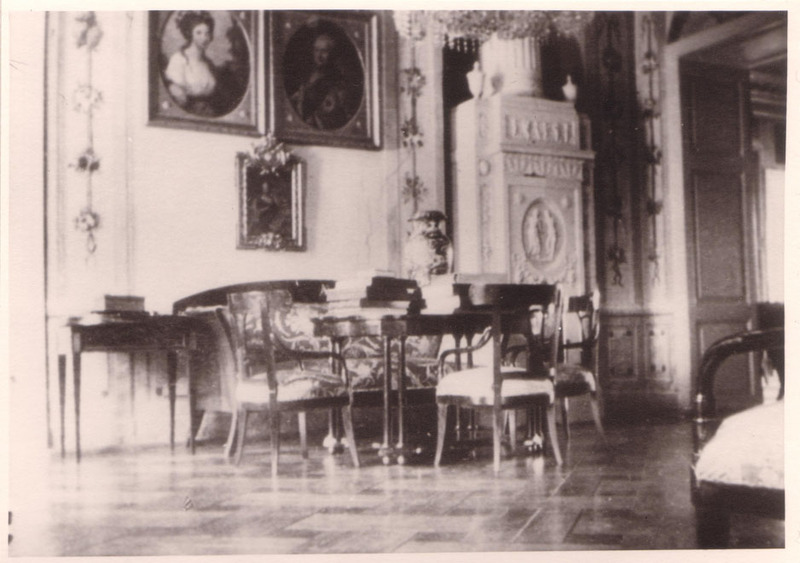 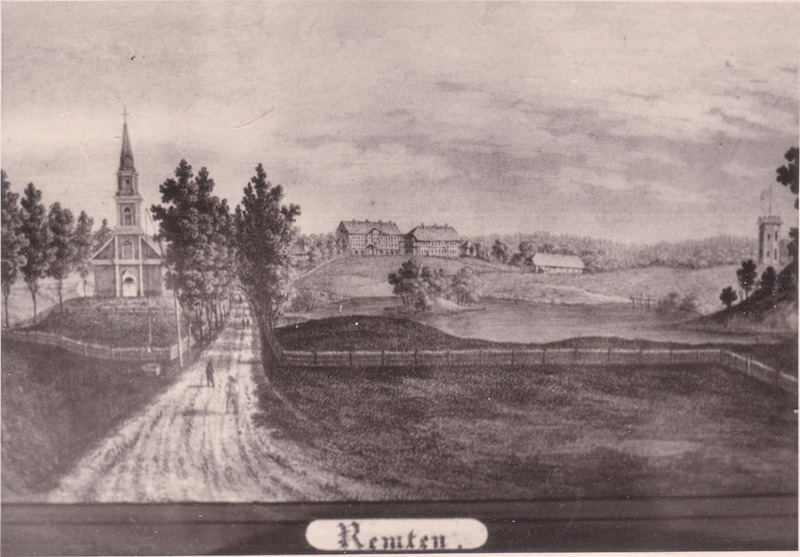 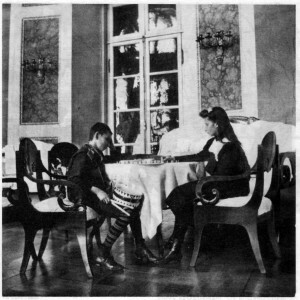 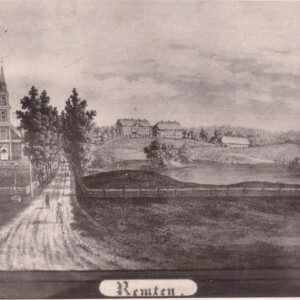 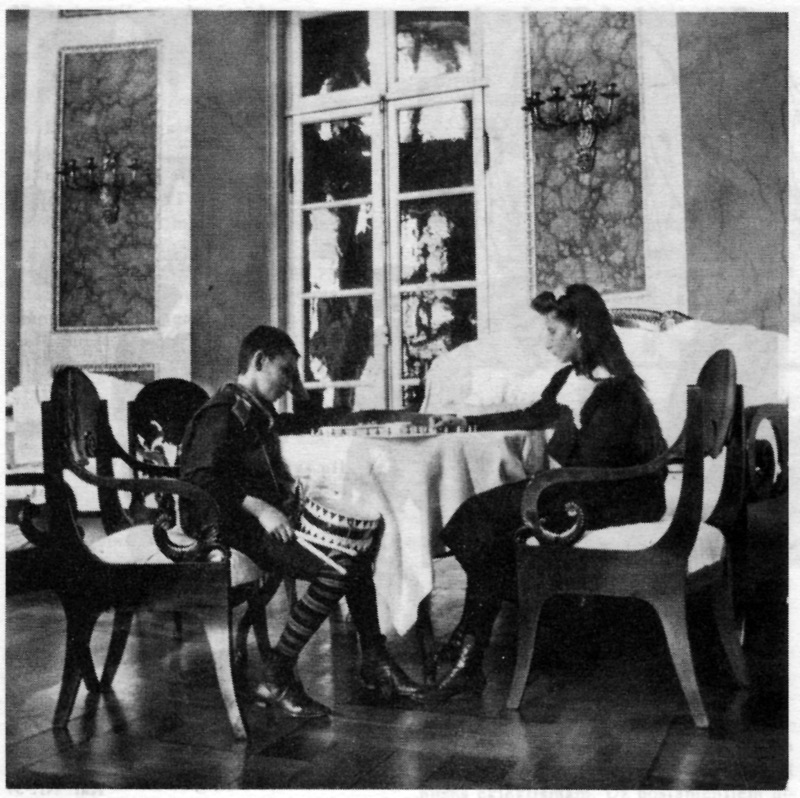 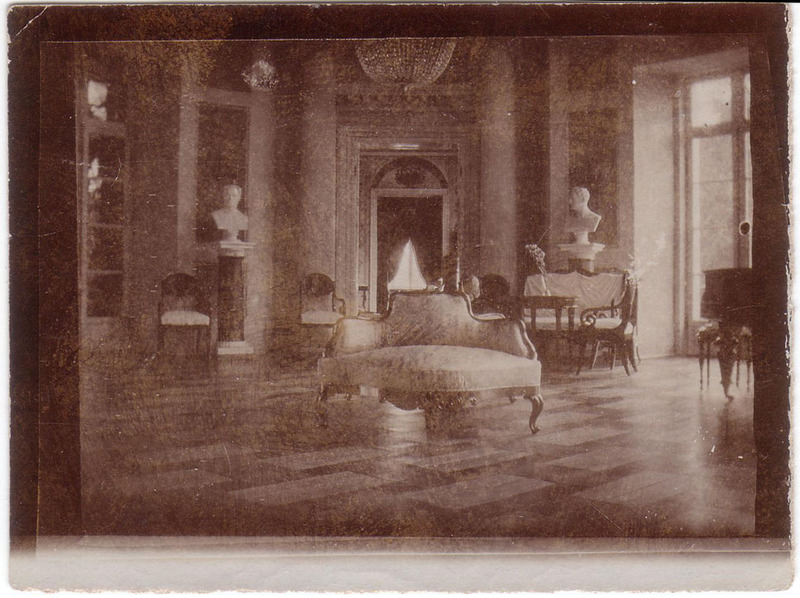 Medems left the manor in 1915, but retained possession until after the Republic of Latvia was proclaimed in 1918. 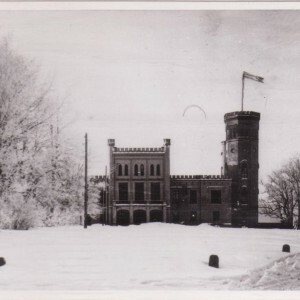 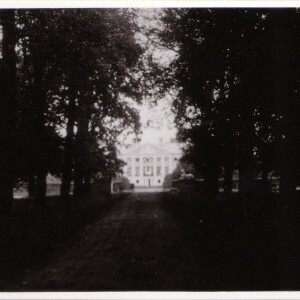 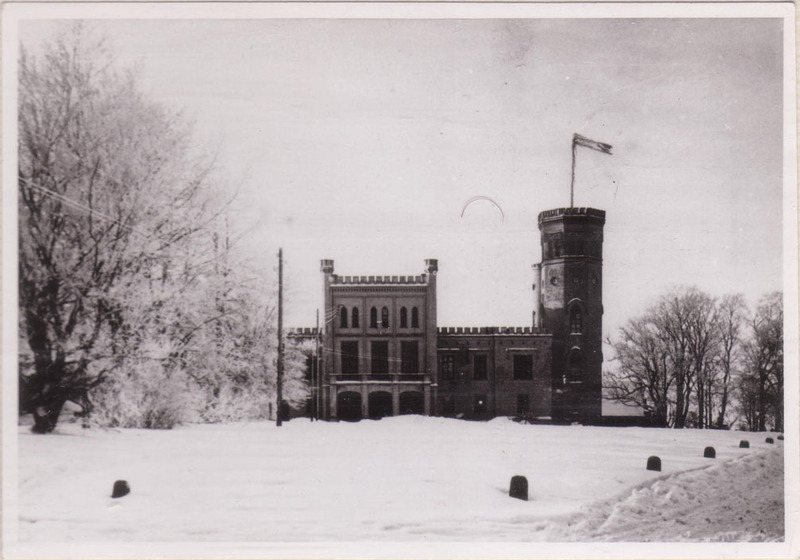 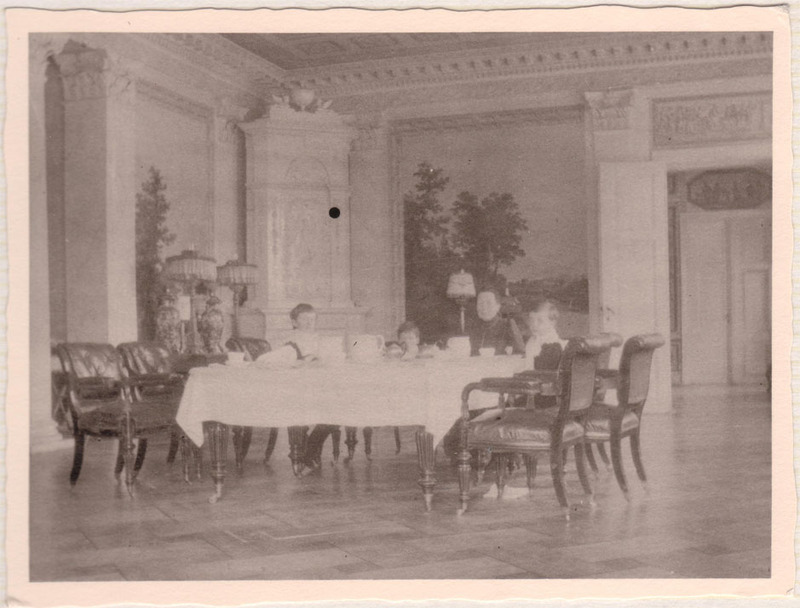 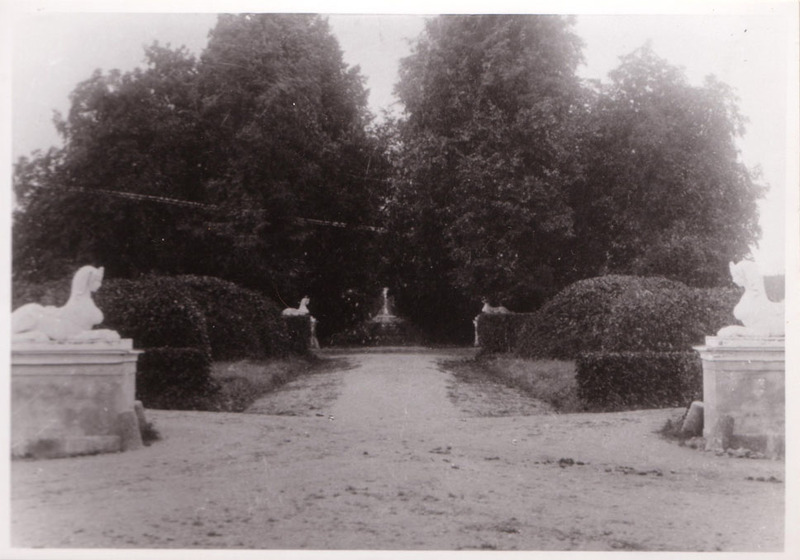 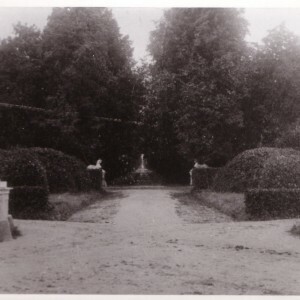 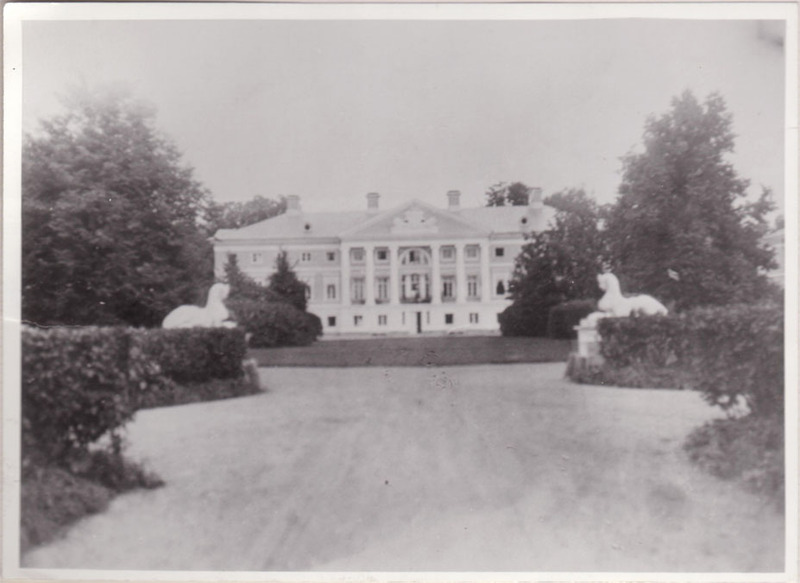 The manor of Elley was nationalized in 1920 during the agrarian reform of the new national government. 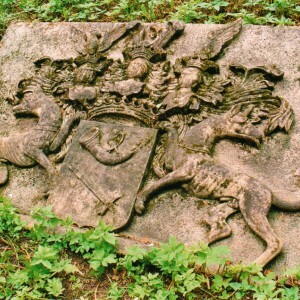 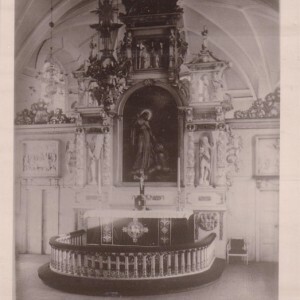 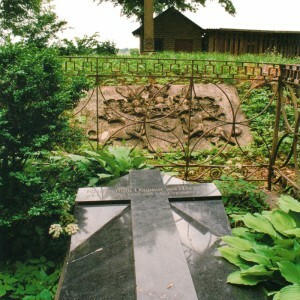 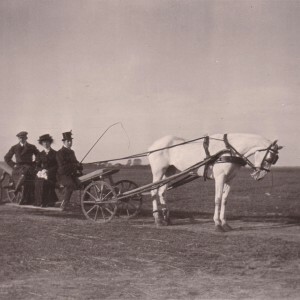 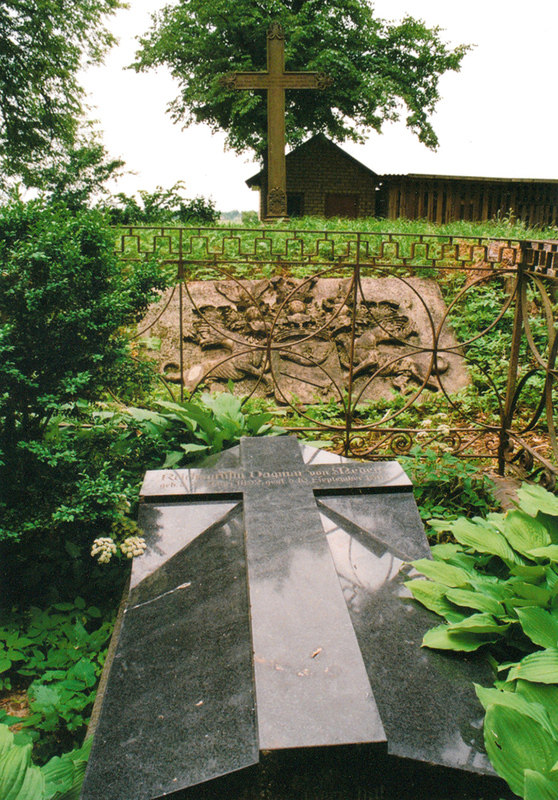 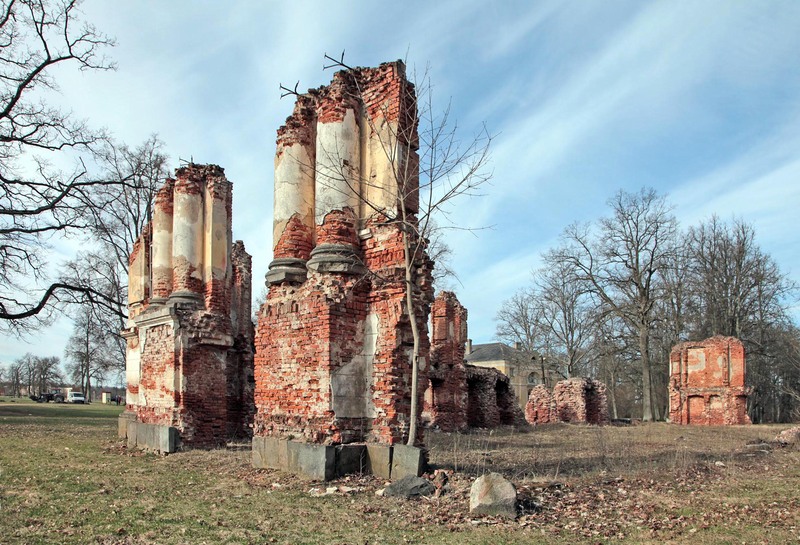 Elley was burned in July 1915 during the First World War when the German army attacked the area (the area that was formerly the Duchy of Kurland and Semigallia and at that present time the Republic of Latvia as part of the Russian Empire). 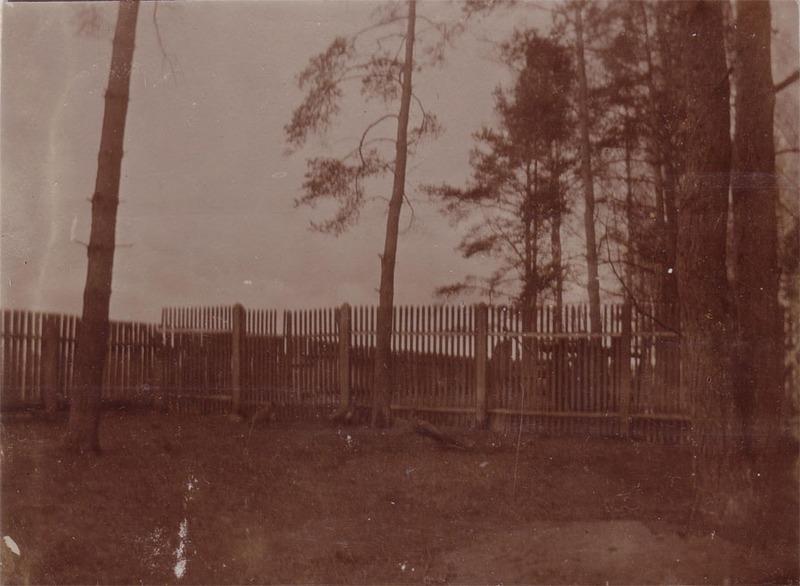 If you look at the map closely, you can see that Elley is right along one of the main highways from the south into Riga, so it makes sense that it would have been one of the first buildings to be ransacked as troops were coming through. 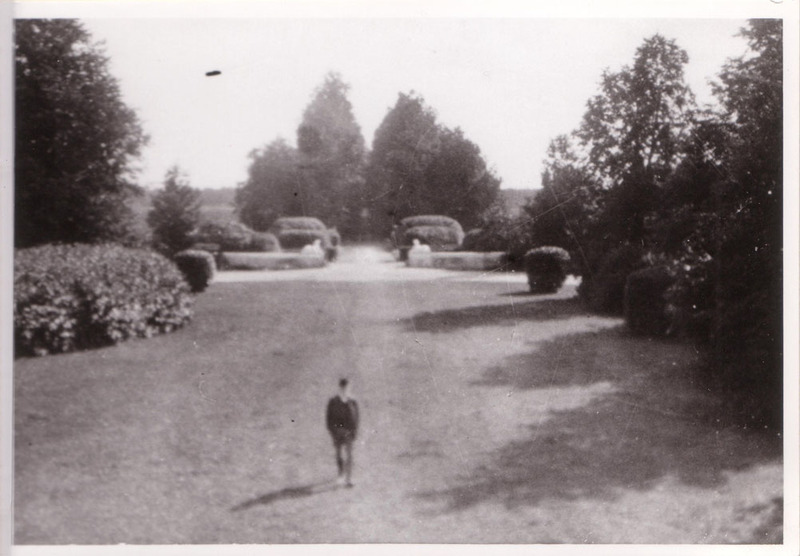 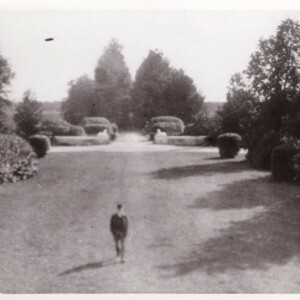 The burning of the manor still remains the unknown and unsolved puzzle. 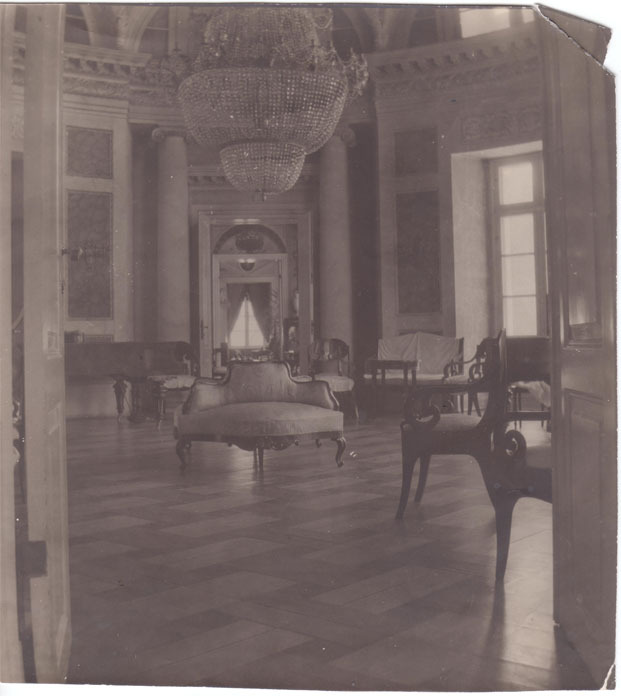 Is was supposedly set on fire by the troops of retreating Russian army and the attacking soldiers of the German army tried to fight fire and to save the palace. 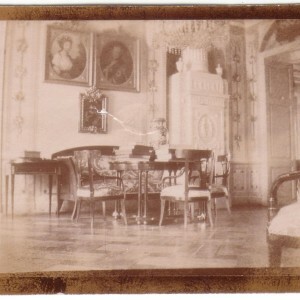 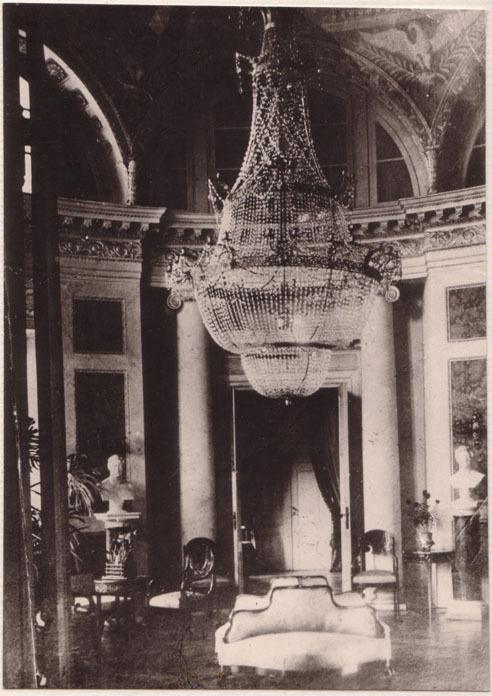 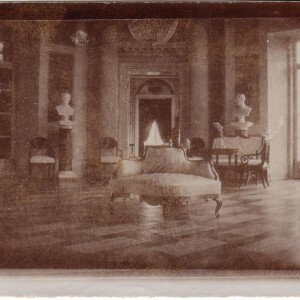 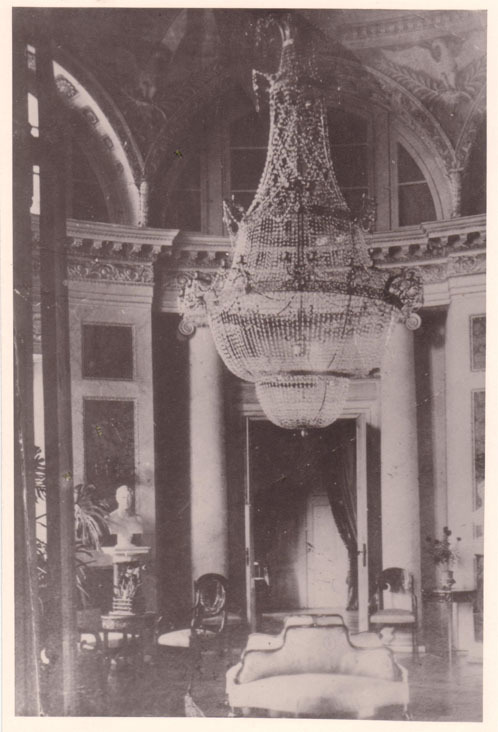 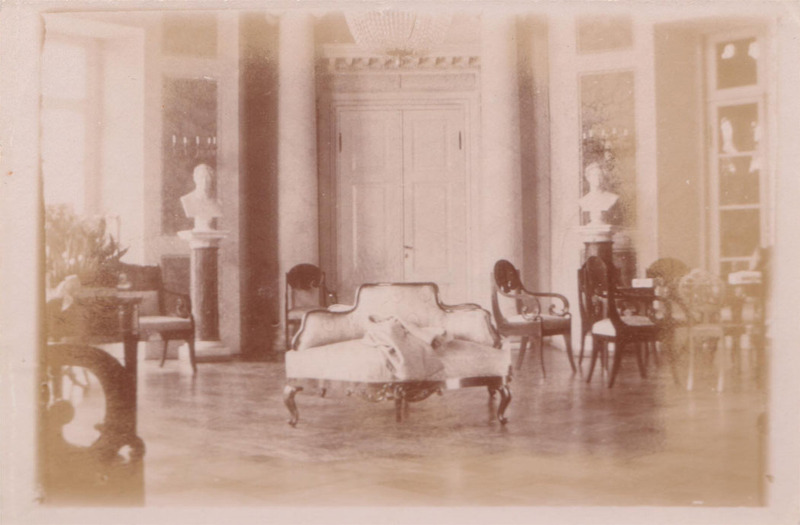 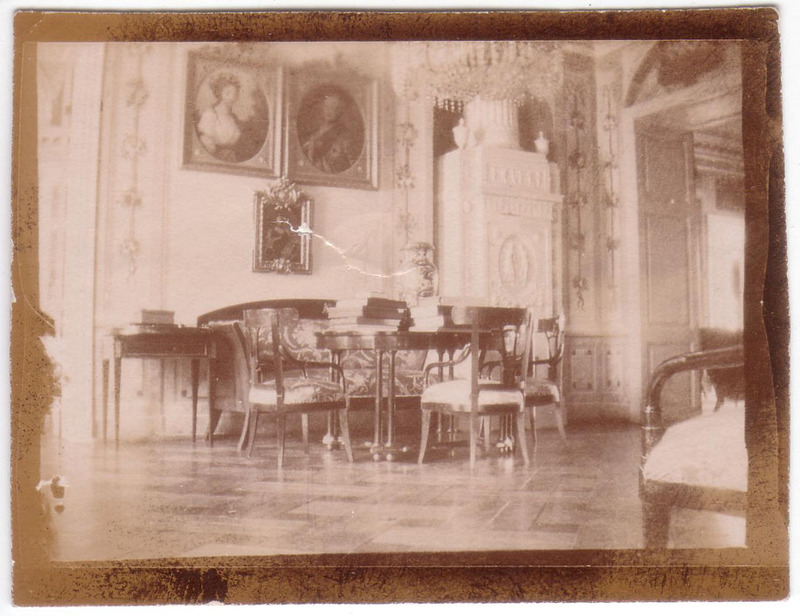 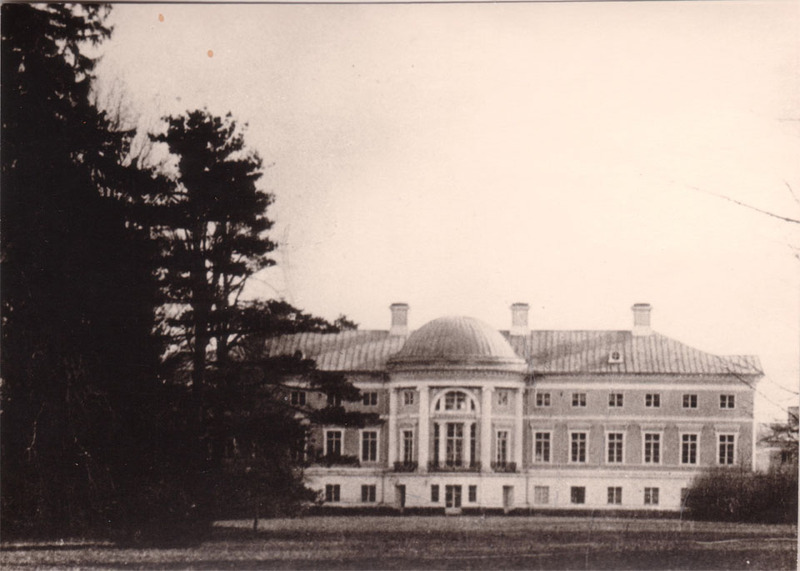 Several sources explain that perhaps Russian troops burned the palace in order not to leave it for the enemy. 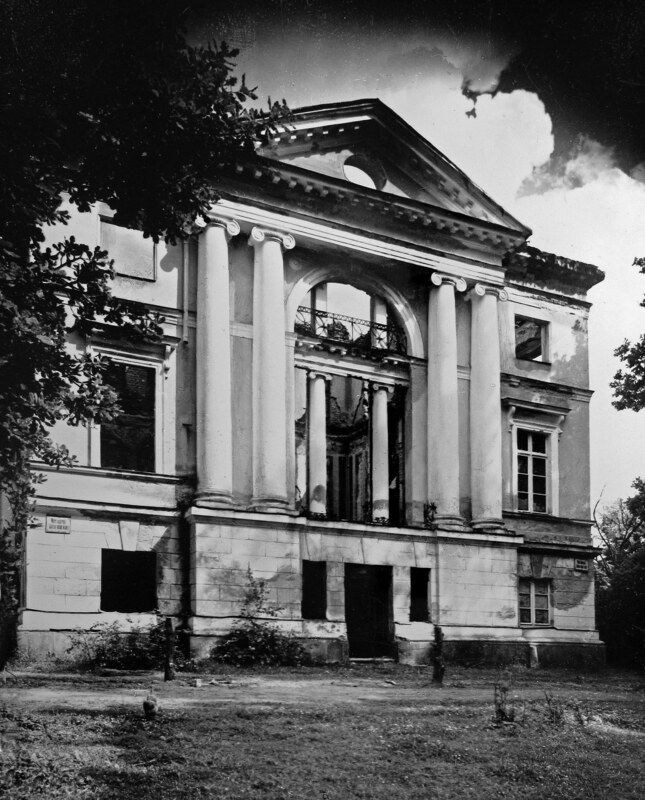 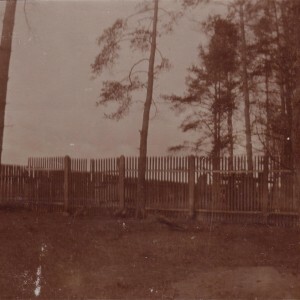 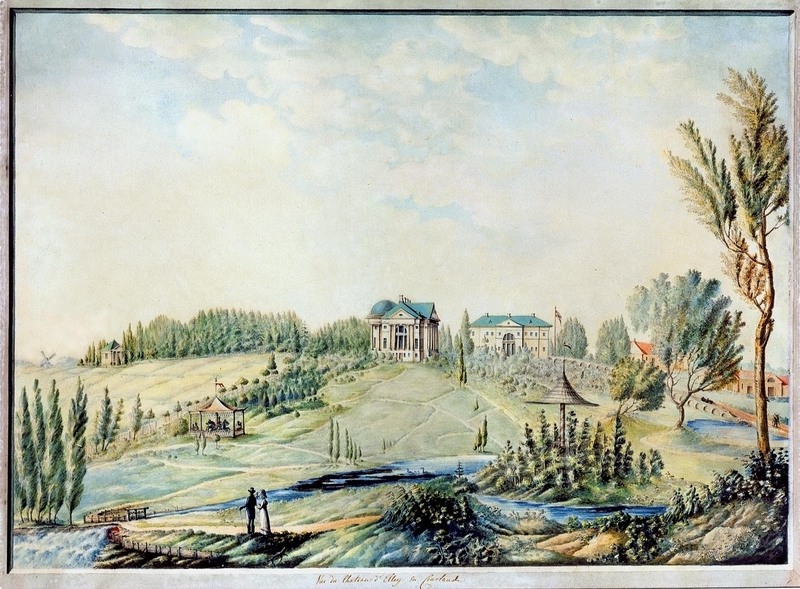 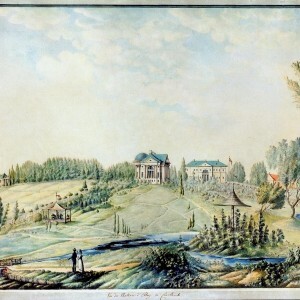 Russian army burned down a total of 18 buildings of the manor estate. 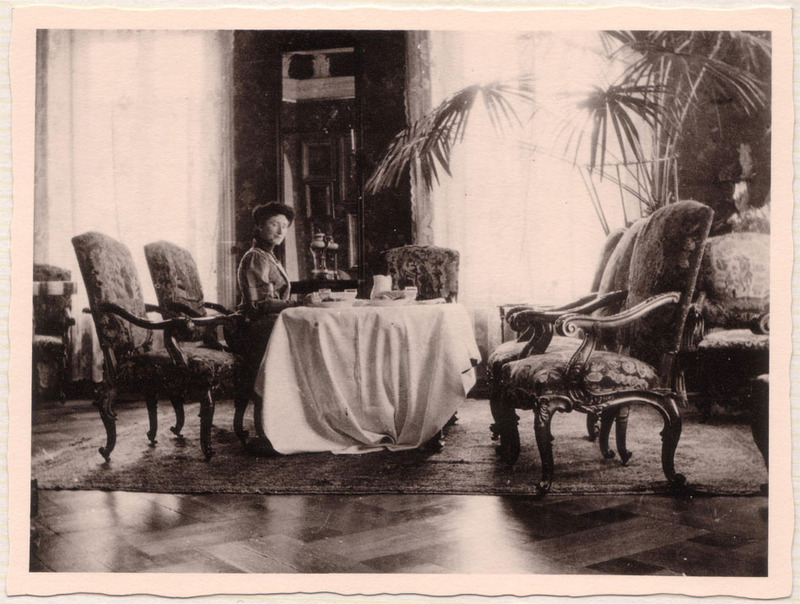 So, Elley was first burnt. 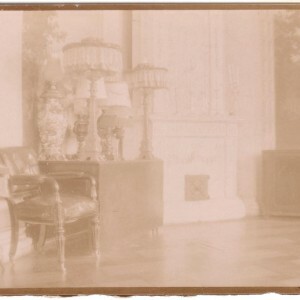 Photographs after this burning are in this gallery with much of the structural integrity intact and signs of the building being burnt. 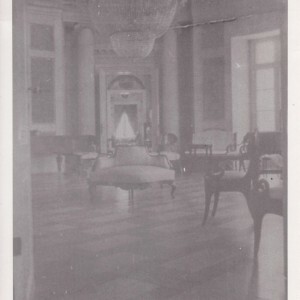 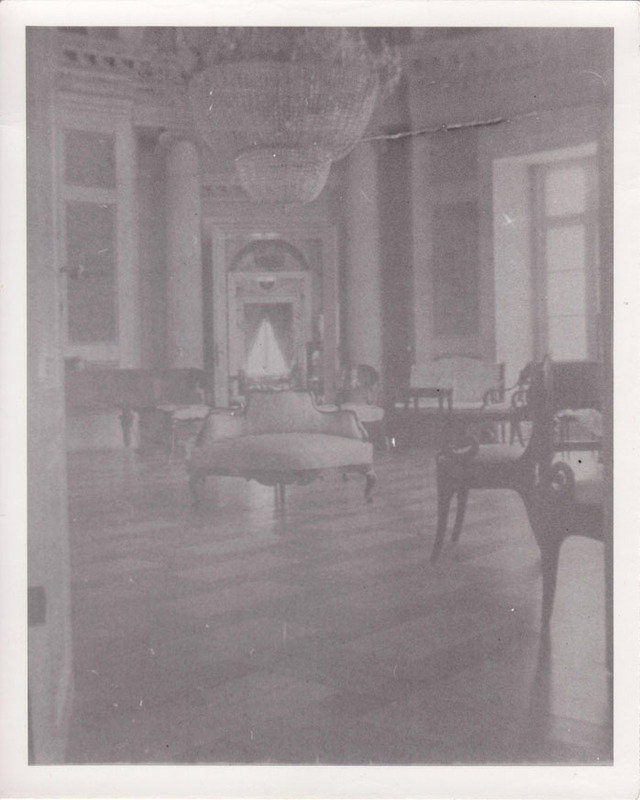 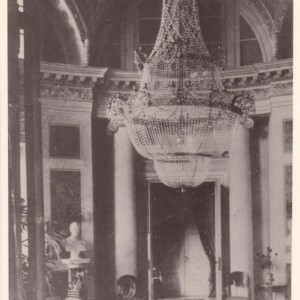 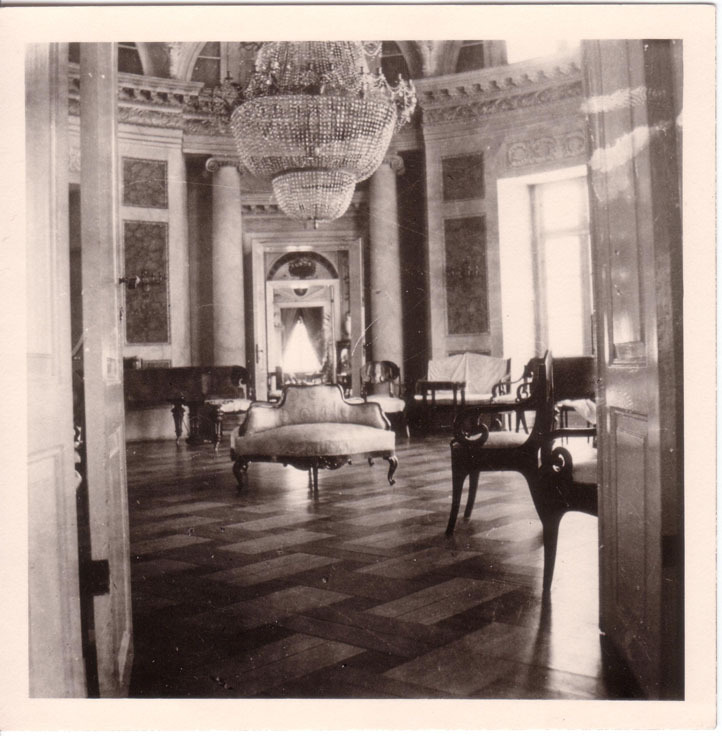 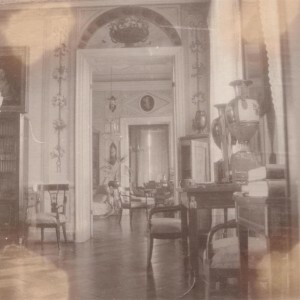 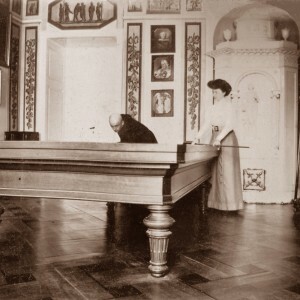 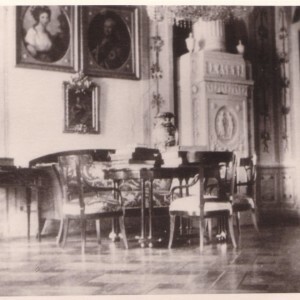 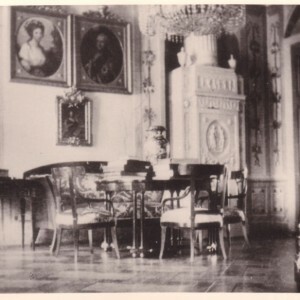 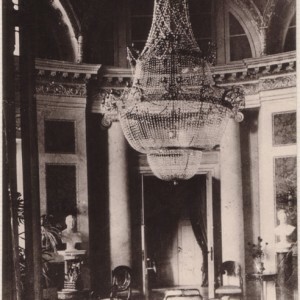 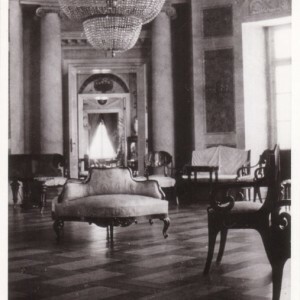 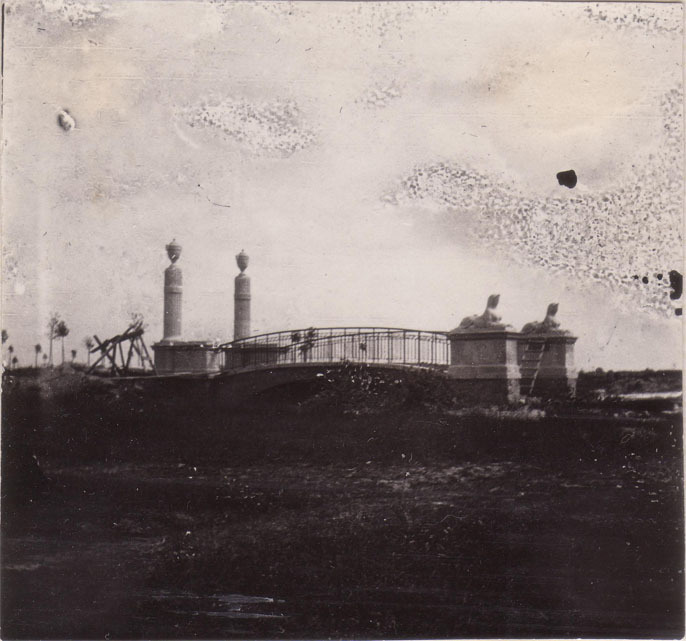 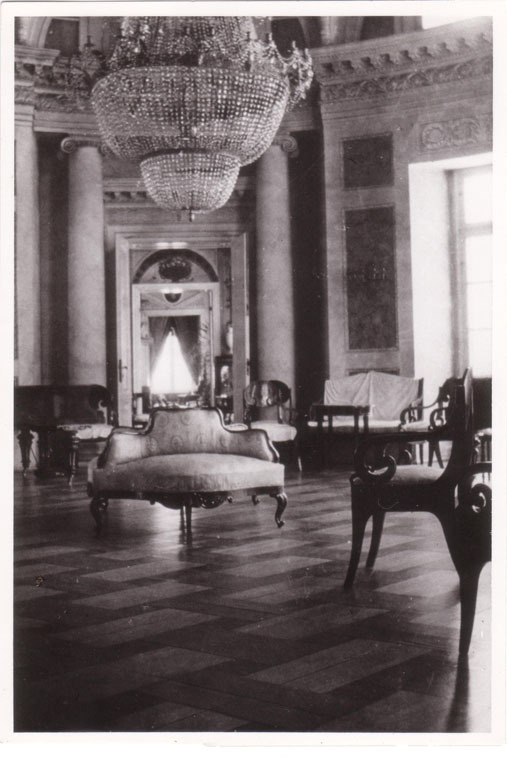 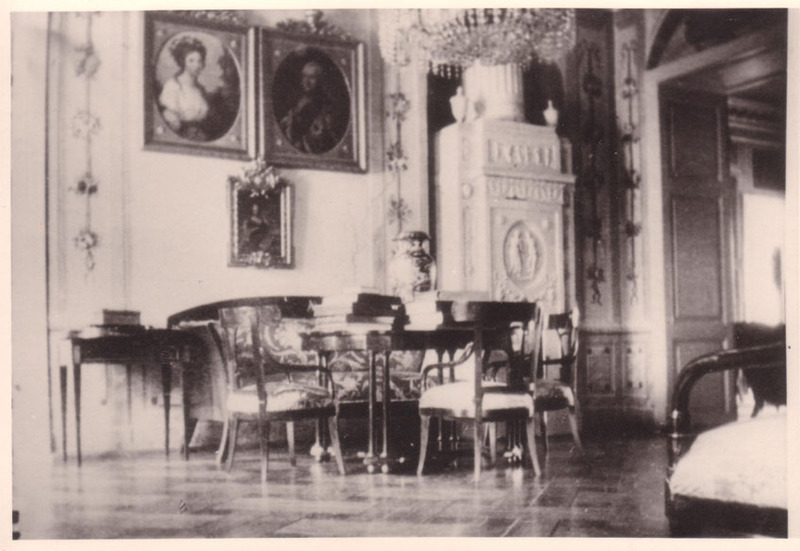 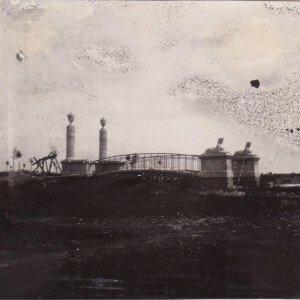 In 1925 and in 1927 a project of restoration of the palace began. 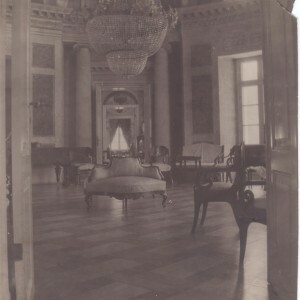 However, the palace was never restored because it wasn’t a priority of the government struggling with a lack of resources. 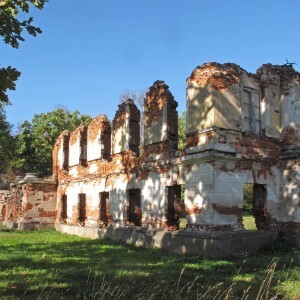 Restoration isn’t cheap after all! 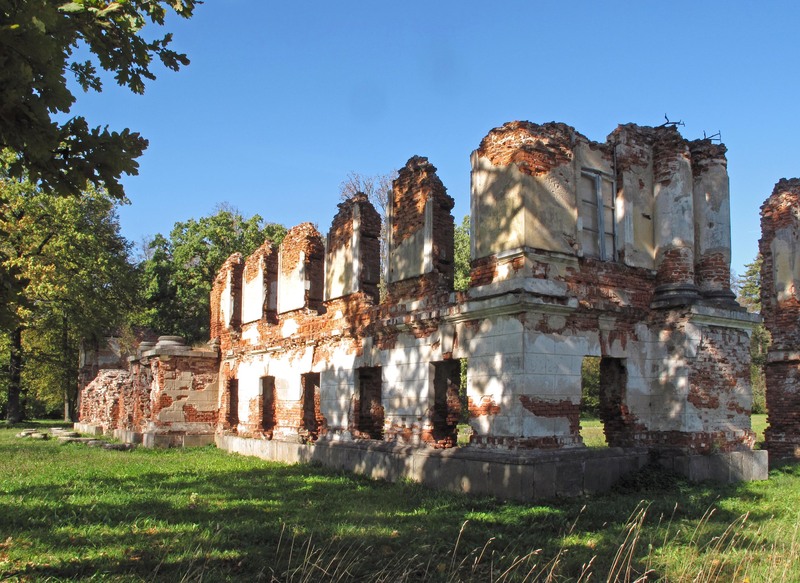 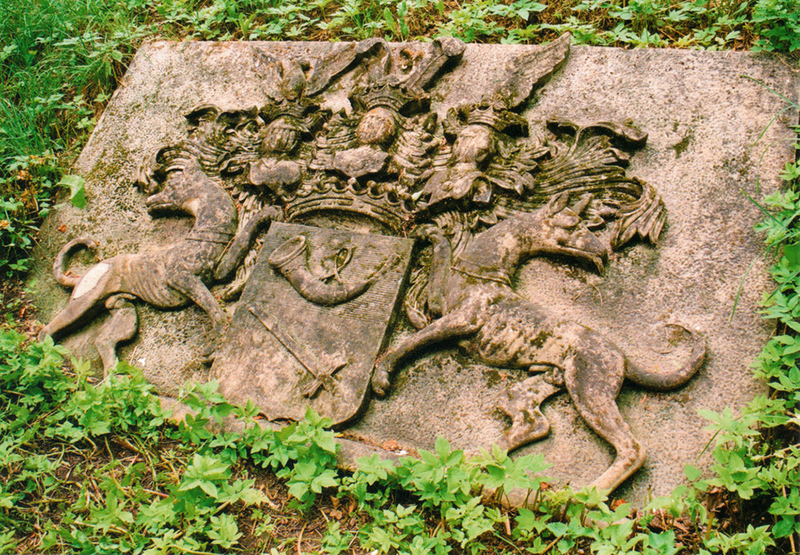 In 1933 the government made an executive decision to pull down the remains of the palace, giving the bricks and stones of the manor to the locals to build local houses in Eleja (Elley). 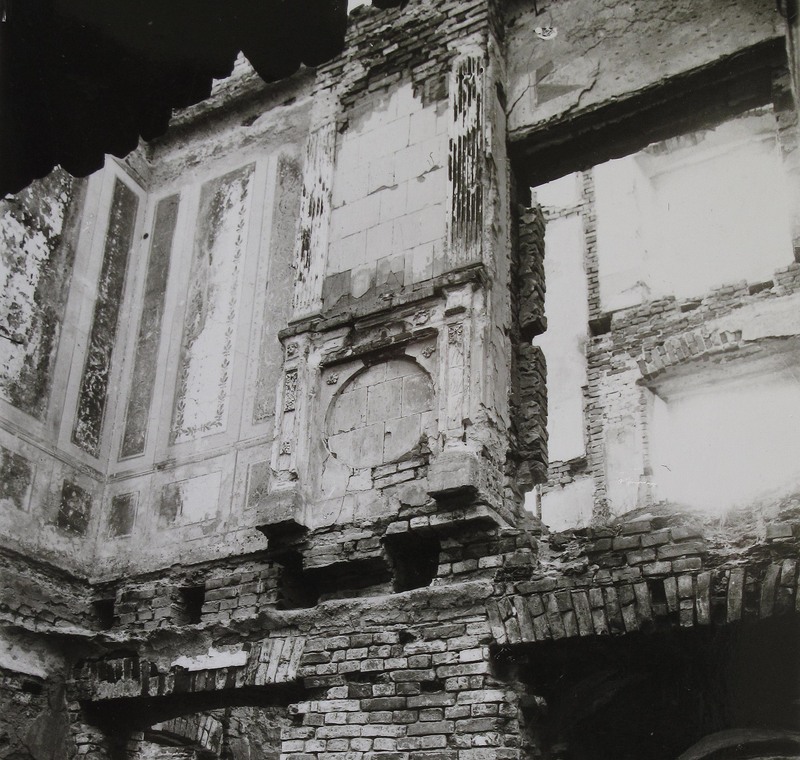 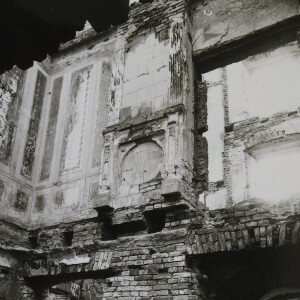 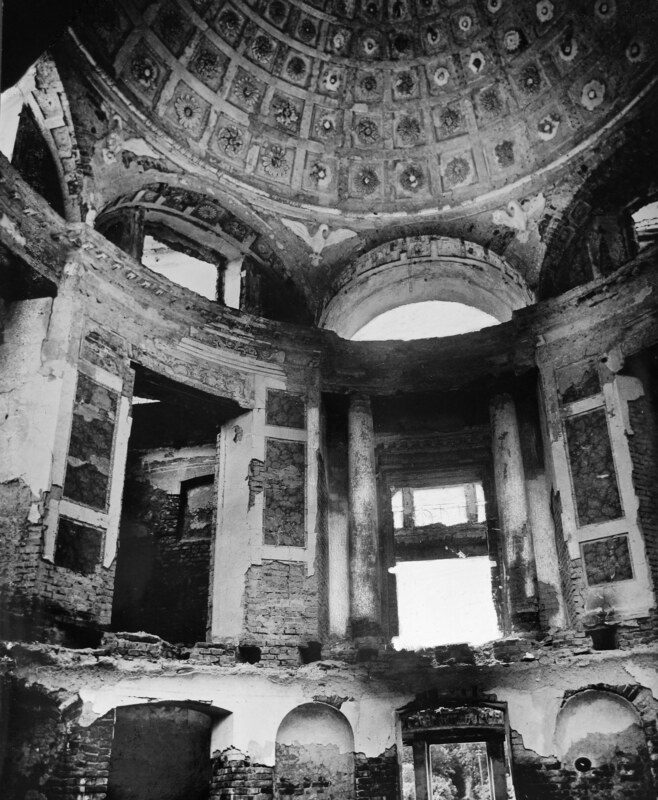 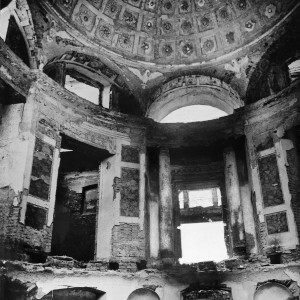 This second phase of destruction never completely dismantled the building, however anything that remained after this was bombed during the World War II, which explains why recent photographs show completely desolate ruins of the main palace. 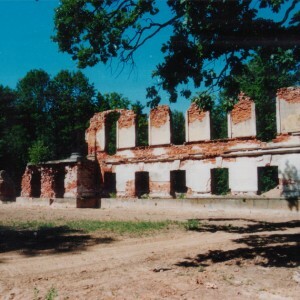 Today there are still the two side houses that flank the main ruins in Elley. 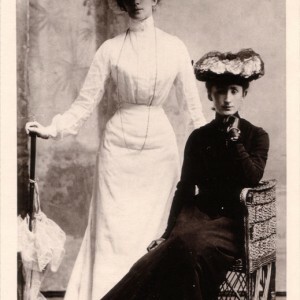 They are both fully standing, but in need of much repair. 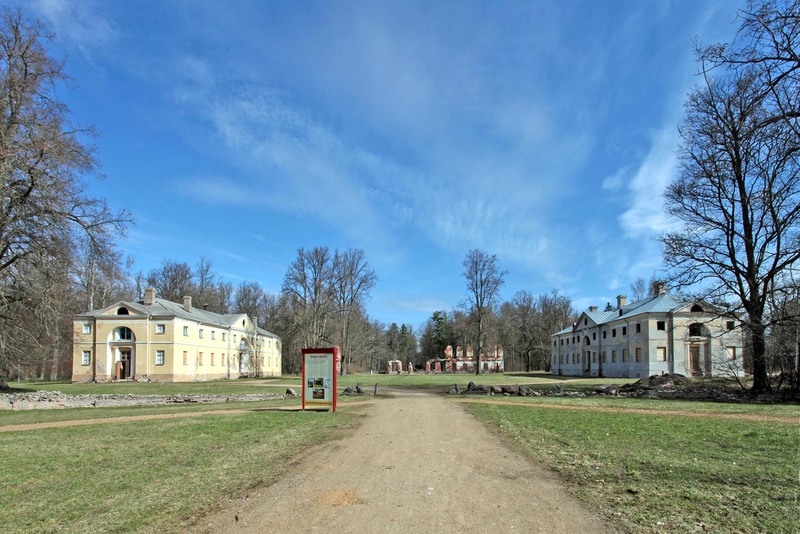 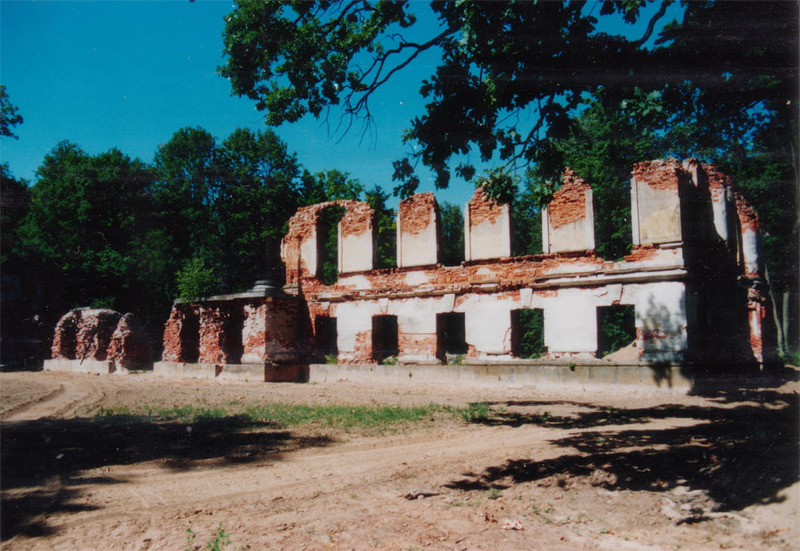 It has been reported to me that a foreign (possibly of Latvian emigrants from the U.S.) landowner owns the land, and is considering renovating the side houses to turn it into a spa/resort area for tourists to flock to, but apparently it’s been delayed due to financial complications. 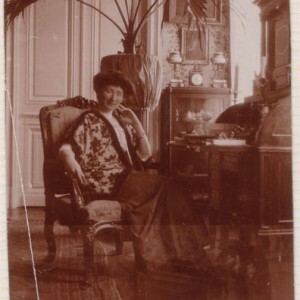 The formal owner is a local lady withholding her investors. 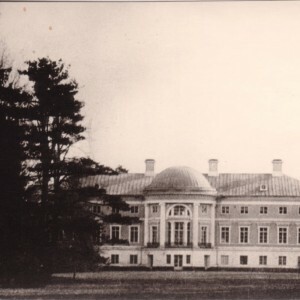 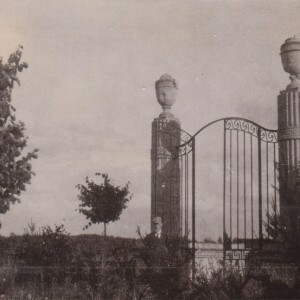 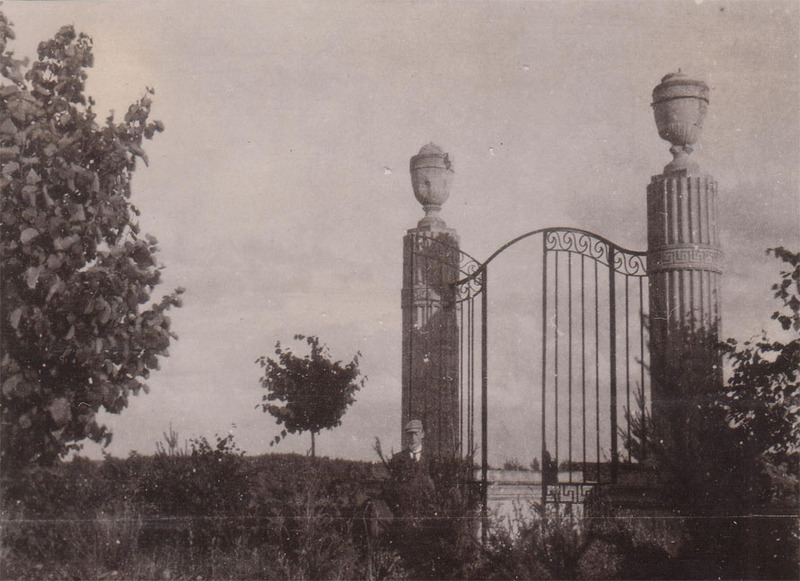 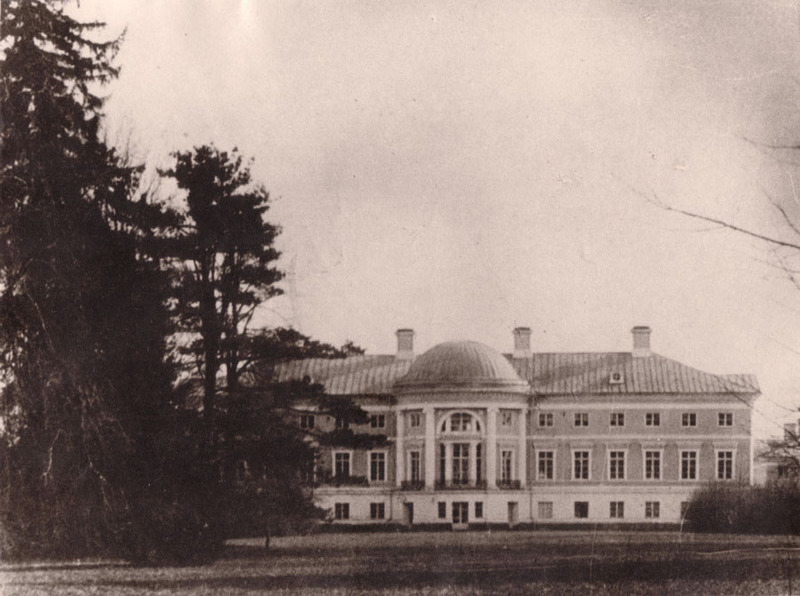 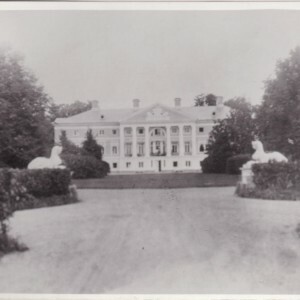 After 1920 only two houses in Jelgava (German: Mitau; 30 km from Elley) were still standing as testament to the memories of the Count Medem family. 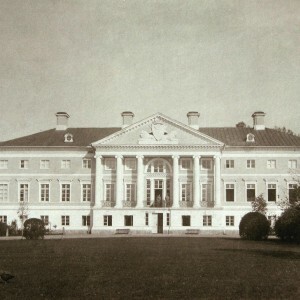 Those were Palace Medem at the river Driksa (former Drixe) in the center of the city and Villa Medem at the outskirts. 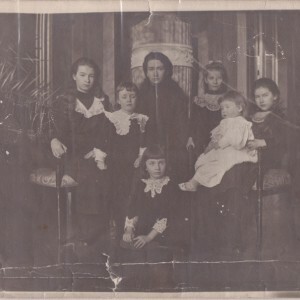 Apparently the Medem family left both to the State since they had all fled Latvia during WWI. 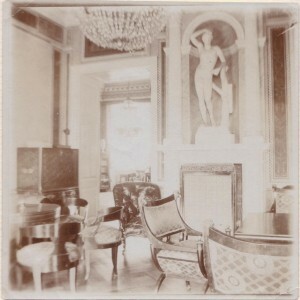 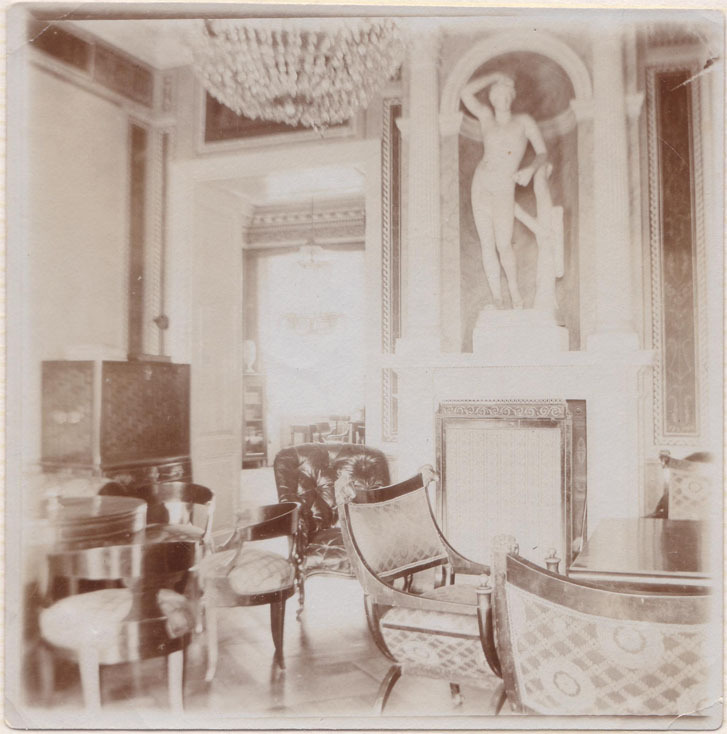 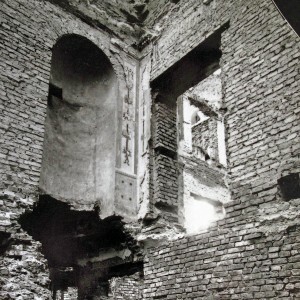 The third city house that had existed, the New Palace Medem, had been sold before the war. 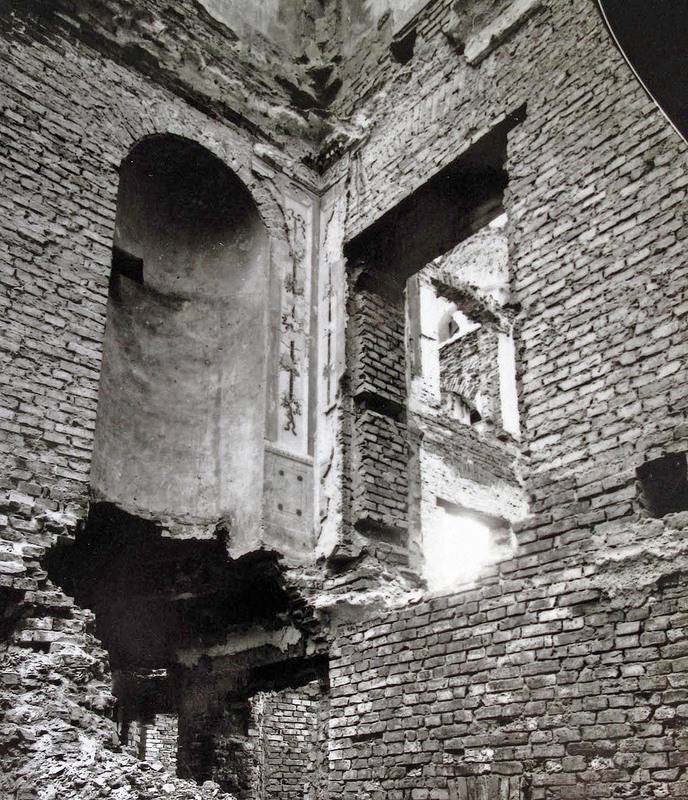 You’ll notice an underlying trend of palaces getting destroyed in the war, and the Palace Medem was no exception, being destroyed during World War II. 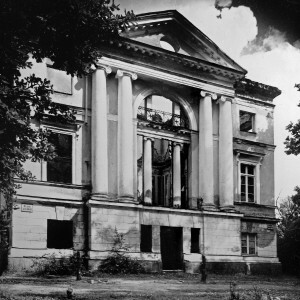 The Villa Medem, however, has served as a club house for a long time, and today it remains empty in the condition of unfinished restoration and as a property on sale by a real estate company as of 2013. 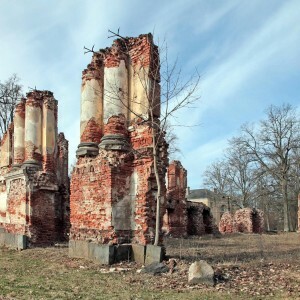 Note: Historical accuracy of this article has been corrected in part by Jānis Stundiņš of Latvia.